Patience is a virtue, so we’re told, a virtue we all aspire to. We like to see ourselves as patient, loving, kind, etc., and we hope others see us that way as well. To be honest, I’m having a real issue with this patience and virtue thing. I’m no longer as patient as I think I once was. Little things aggravate me that once would have just passed over like water over the dam. Now I’m forced to take a long hard look at myself, what has changed about me or for me. People in grocery stores aggravate me. They bunch up in the middle of the aisle and carry on a gabfest with friends they haven’t seen in years, catching up on the children, grandchildren, the in-laws and the out-laws. Please! Stop taking up room in the middle of the grocery store aisle. Go visit each other or get on the phone with each other but do it somewhere other than the aisles of the grocery store. Drivers on the road aggravate me. They’re too busy looking at text messages or trying to punch in a number when they stop at the lights to look up, see the light has changed and it’s time to go! What’s worse, sometimes it’s a policeman that’s doing it. Then sometimes it’s someone on my bumper trying to push me through the traffic when I’m going the speed limit, in the right hand lane thank you very much, and they want me to go faster especially in one of local school zones. Not happening so get off my bumper. Then we have the drivers who can’t make up their mind which lane is theirs or what lane they want to be in so they take their half out of the middle. The drivers that concern me the most aren’t the young drivers although they can be a cause for concern. It’s the elderly whose children don’t know they are out driving on the busy streets, who will either get killed or kill someone because they can’t hear or see over the steering wheel. My patience has been put to the test lately because of the elections coming up this year. I do not want to participate in any surveys, donate money or hear the spiel about why that candidate should be elected. I’ve already made up my mind on most of them and the ones calling me aren’t on my list. Before you decide to crown me the person with the least amount of patience and grouch of the year, allow me to tell you another side. I do have patience with young mothers struggling to get a crying baby quiet. Or with the Dad who’s trying to get the toddler to eat and stop throwing good french-fries on the floor all the while they are laughing and smiling that sweet adorable smile. I do have the patience to wait and help someone trying to get in a door while struggling with an older person whose memory is failing. 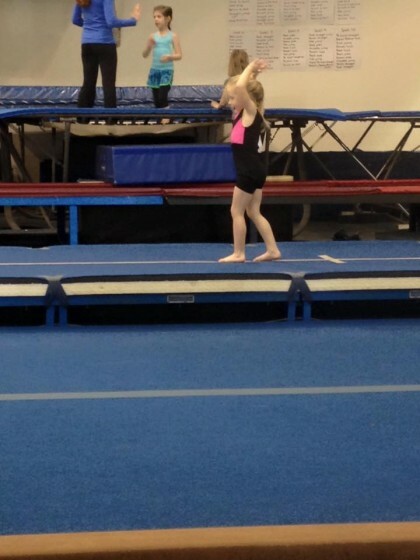 I have patience with my great granddaughter and her friends as they show me their tumbling routine fifty times. Okay. Maybe that’s a slight exaggeration but you get my drift. Most of all, I’m trying to learn to have patience with myself and not to judge myself as harshly as I have in the past. Patience is like a rope that’s been tied too loosely or too tightly too many times. It begins to fray and unravel. Over time it begins to weaken. That’s how I’ve felt lately. Like I’ve been wound too tightly and my threads are fraying. Some things will get better, others won’t and I’ll deal with them. For now, I’ll follow the time-honored advice of my aunt. Don’t panic and wait and see.